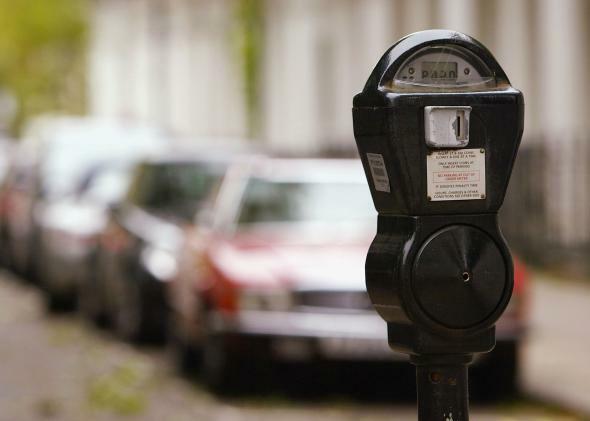 New York City parking spot goes for $1 million. Can anyone change $1 million? For today’s update on how the one percent are doing—or more like the .001% in this case—we turn to the daily grind that is parking. Finding a parking spot, after all, is a pain for everyone, particularly in Manhattan. Street parking has some pretty serious downsides for the uber-rich looking to land their uber-ride for the night. First, there are human obstacles—mainly pedestrians, cyclists, taxi cab drivers, along with the occasional Elmo impersonator—that don’t care as much about your car as you do. There’s also the problem of scarcity of parking spots on the street given that pedestrian crosswalks, handicap spaces, and fire hydrants remain public goods and so far are not tradable commodities. For the super-rich the problem of doing things you don’t really want to do, however, is an eminently solvable one. Enter the $1 million parking spot. The New York Times on Tuesday details this new plaything of the rich and famous—a parking place. A new development, 42 Crosby Street, is pushing the limits of New York City real estate to new heights with 10 underground parking spots that will cost more per square foot than the apartments being sold upstairs. The million-dollar parking spots will be offered on a first-come-first-served basis to buyers at the 10-unit luxury apartment building… itself the former site of a parking lot. At $250,000 a tire, the parking spaces in the underground garage cost more than four times the national median sales price for a home, which is $217,800, according to Zillow. The parking spots, some of which will be a generous 200 square feet, will run $5,000 to $6,666 a square foot, whereas the nine three-bedroom units upstairs will cost between $8.70 million, or about $3,170 a square foot, and $10.45 million, around $3,140 a square foot…. The number of off-street parking spaces in the city was 102,000 in 2010, or about 20 percent less than in 1978, when there were 127,000 spots available, according to the Department of City Planning… Buyers at 42 Crosby Street who pay $1 million for a parking spot will not actually own it. The condo is selling 99-year licenses for each spot.